Our courses are designed to help emergency medicine clinicians develop the individual and departmental clinical decision-making skills and quality assurance practices they need in order to deliver high-quality care to patients. 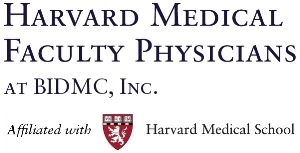 The majority of our instructors are faculty members at Harvard Medical School, practicing emergency physicians at Beth Israel Deaconess Medical Center, a Harvard teaching hospital and home to the BIDMC-Harvard Emergency Medicine Residency Program. In addition, we invite key international instructors each year, renowned in the emergency medicine field. Our institute’s main certification course, Emergency Quality Improvement Professional (EQuIP) Certification Course, is a 21-hour (3-day) intensive professional development course for emergency medicine clinicians delivered by the Department of Emergency Medicine at Harvard Medical Faculty Physicians / Beth Israel Deaconess Medical Center. The 2019 course will be held in Florence, Italy at the Grand Hotel Baglioni.